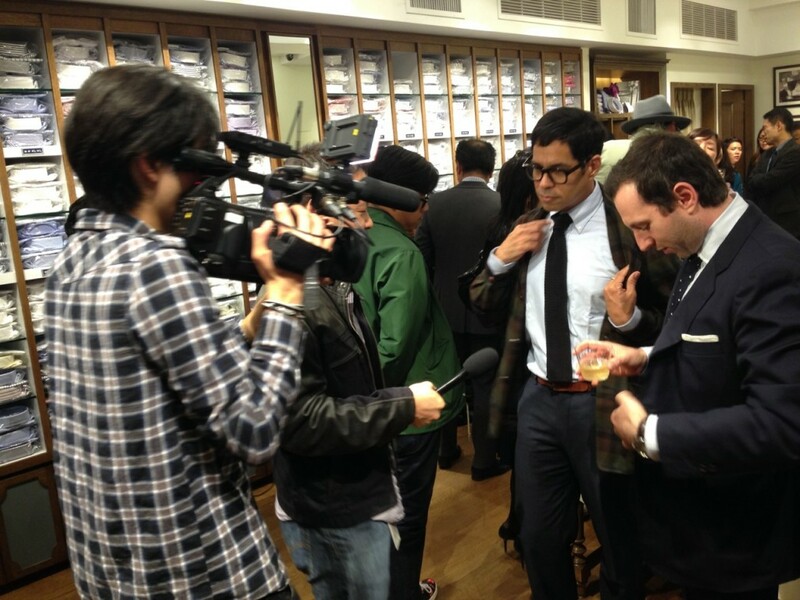 Japanese luxury shirt maker Kamakura Shirts celebrated the first anniversary of the opening of its New York store on October 30. The reception, held at the New York flagship at 400 Madison Avenue, was a meet-and-greet with members of the press and the fashion industry, who mingled while enjoying champagne and a lovely catered spread by Brushstroke. 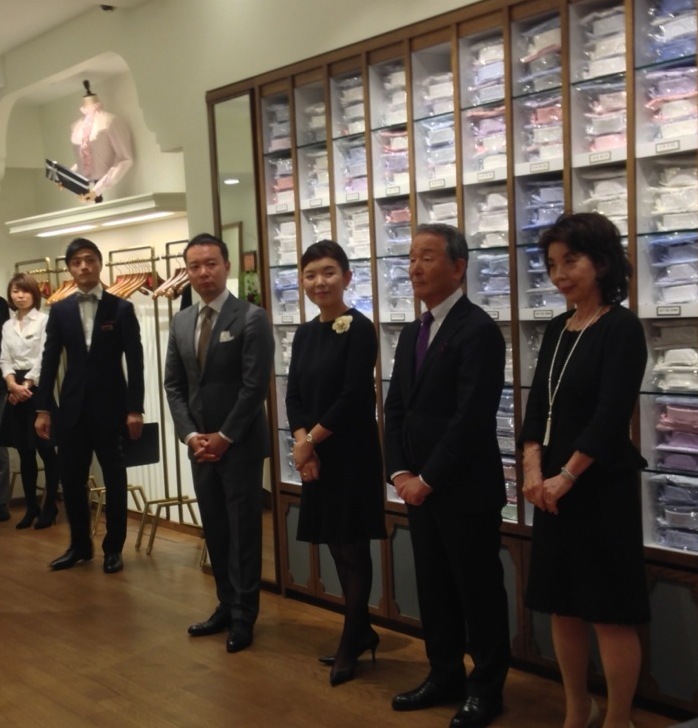 Kamakura Shirts Chairman Yoshio Sadasue began the evening by addressing his guests, discussing the challenges the company faced when trying to appeal to a new market. 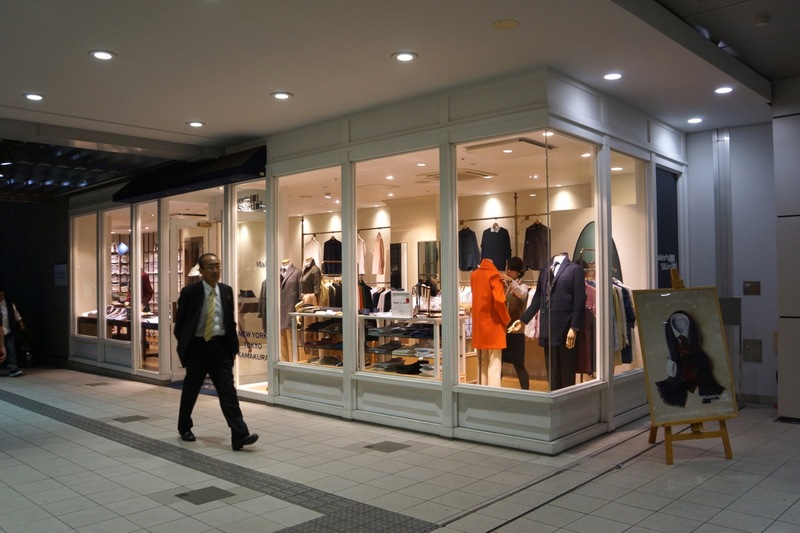 Sadasue opened his first store in 1991 with his wife, Tamiko, in the ancient and historic city of Kamakura, and now they run more than twenty stores throughout Japan. The New York store is the company’s first overseas venture. The goal of Kamakura Shirts is to provide affordably priced, high quality shirts made using precise techniques that are the hallmark of Japanese craftsmanship. In this YouTube video produced by NY Seikatsu, New Yorkers give their testimony about the quality of Kamakura Shirts. Because the cut of Kamakura Shirts is suited to smaller sizes, the shirts aren’t for everyone in New York. “We provide high quality, so we choose our customers,” says Sadasue, who describes those customers as discriminating professionals who are acutely aware of the importance of looking sharp and polished. Kamakura Shirts navigated the waters of New York and proved they can provide a premium product with the same characteristic Japanese commitment to quality and customer service they have in Japan. Because of that commitment, they are bound to celebrate many more anniversaries on Madison Avenue. During our vacation in Japan, JapanCulture•NYC visited the city of Kamakura, which is located about an hour train ride southwest of Tokyo in Kanagawa Prefecture. The seat of the Shogunate during the Kamakura Era (c. 1185-1333), Kamakura is home to Daibutsu, the second tallest bronze statue of Buddha (after Todaiji in Nara). Take a look at JapanCulture•NYC’s YouTube video of our visit to Kamakura.